Not too long ago, I attended a formal dinner that involved the use of chopsticks. Before that dinner, I paid very little attention to my use of chopsticks. But, since the dinner was formal, I wanted to be mindful of my dinner etiquette. Avoid rubbing your chopsticks together. If you go out with your friends to a sushi bar, you may see someone break the wooden chopsticks (also known as “Waribashi”) apart and start to rub them together. Some say that you are supposed to rub them together because they might be splintery. But, truth be told, these wooden chopsticks have to be really cheap to have splinters. So, doing this in a quality restaurant will be insulting to the restaurant’s owners because you are indicating that you think they are cheap. If you are supplied with hashi-oki (chopstick rests), you should use them. 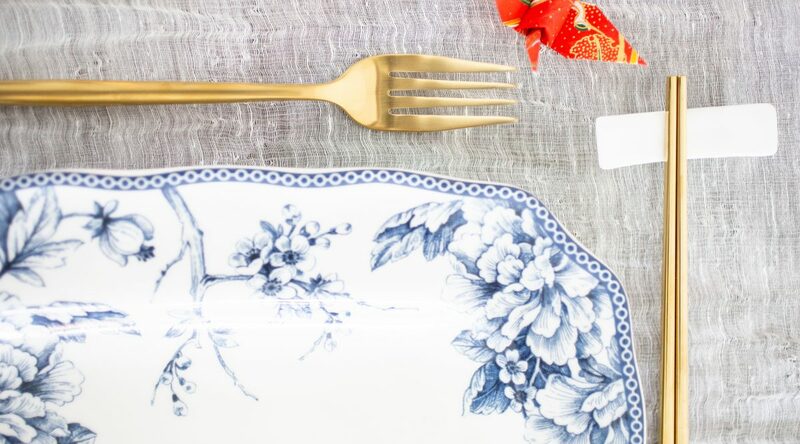 If you are unsure of what a chopstick rest is, look for the little ceramic boat-like objects placed next to your plate. (see the photo below). During your meal, you are supposed to rest the ends of your chopsticks on them when you are not using them. 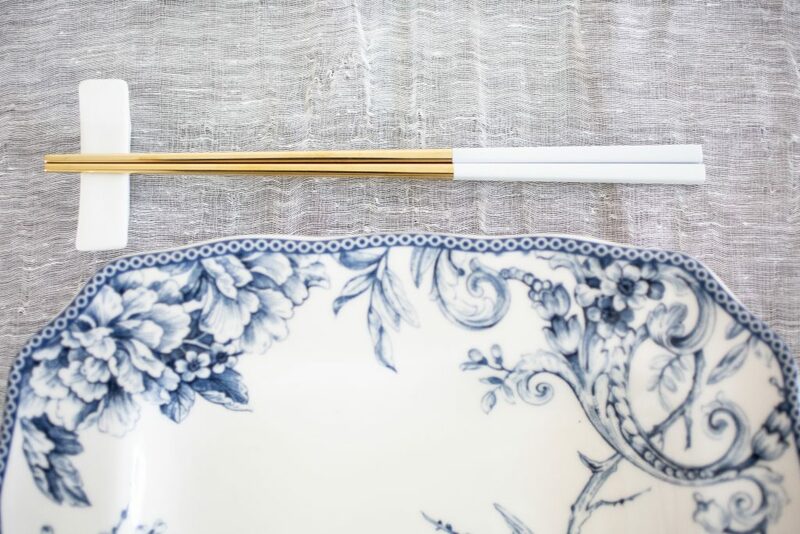 If you are not supplied with a chopstick rest for your meal, it’s considered okay to place your chopsticks on your bowl as long as they are not crossed. Do not use your own chopsticks to take food from a communal plate. If you are served your meal family-style, don’t take your portion with your own chopsticks. This is the equivalent of “double dipping” a chip into dip, and it is unsanitary. You should use the serving utensils that are provided with the dish. Do not stick your chopsticks straight up in your bowl of rice. I see so many people do this that I was blown away when I realized it was a big “no, no.” Apparently, this is how rice is offered to spirits at a funeral, death bed, and/or Buddhist altar. Avoid using your chopsticks to “shovel” your food directly from your rice bowl into your mouth. Contrary to what you see on TV, you are not supposed to “shovel” your rice from your bowl to your mouth. You are supposed to pick up your rice bowl or your miso soup bowl in one hand and eat with your chopsticks in the other hand. You can bring your soup bowl right up to your mouth and sip. However, it is considered to be poor form if you do the same with your rice bowl. 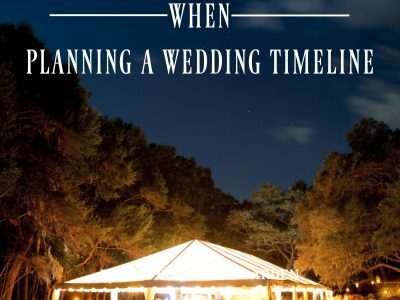 So, what should you do instead? You should pick up your rice in small amounts and bring it up to your mouth. 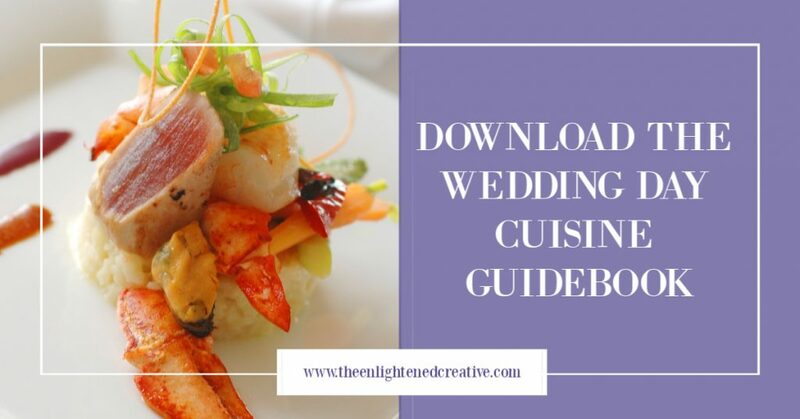 To help you organize your wedding day dinner, select the beverages for your bar, hire your bartender staff, your cake baker, and successfully plan all of your wedding day foods needs, download our wedding day cuisine guidebook. 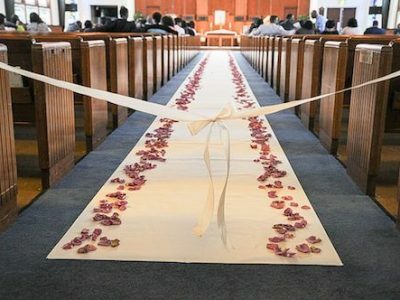 How Long Does the Aisle Runner Need To Be for My Wedding? 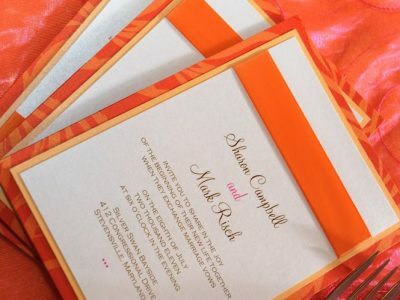 Why is there an M on the RSVP card?